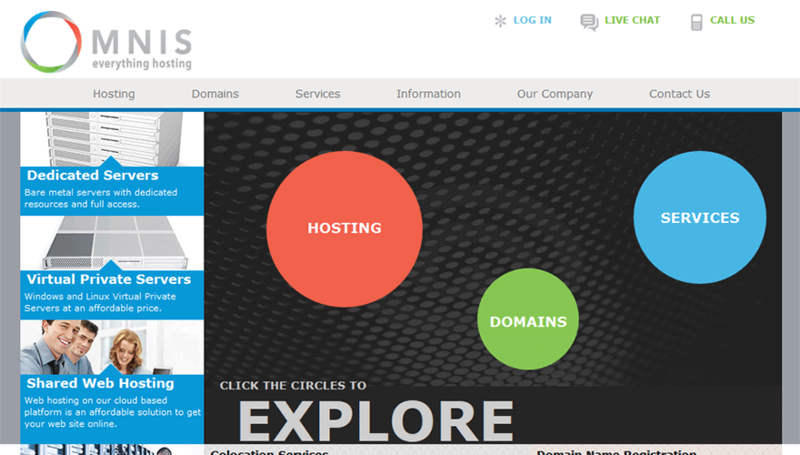 Founded in 1999, Omnis Network has continued to be a leader in the Windows web hosting space with more than 400,000 domain name and web hosting customers served. Let’s take a closer look at this storied Windows hosting provider to see if they deserve to win your business. Omnis keeps things simple by offering a single Windows web hosting package for purchase. This plan costs $10.95 a month when purchased for three months, and goes down to $7.95 a month when purchased for two years. This package includes a free domain name registration, unlimited disk storage space, unlimited monthly data transfer, as many domains as you would like to host and unlimited databases as well. Omnis offers a number of add-ons that can be purchased when you register your account, including dedicated IP addresses, SSL security and more. Omnis offers the cheapest Windows unlimited hosting plan. For $7.95 you get access to unlimited hosted domains, unlimited databases including MS SQL, and a decent feature set. With cheap unlimited hosting, you may experience slower service at times depending on who is sharing the web server with you. Imagine what a single customer with 100 WordPress blogs could do to the server. Omnis has a stellar track record in the reliability department with an excellent 99.99% uptime rating over the past several years. Although there have been some very brief outages recently, there is no reason to believe that Omnis offers anything less than stellar reliability and uptime. The company offers a 30-day full money back guarantee to back up their Windows hosting packages as well. If you decide that working with Omnis isn’t for you within the first month of purchasing their services, you can request a full refund. One of the strong points of Omnis’ Windows web hosting offering is how easy it is to get your hosting account and other software set up and running. Omnis offers one-click installation for a number of popular software packages, including WordPress, Drupal, Joomla, Magento and MovableType. This alone can end up saving you hours of work trying to upload software files, setting up databases and getting all of the correct permissions configured. Omnis also supports a number of web-based email services, which ensures that even if your email client, laptop or phone isn’t working you will still be able to access and make use of your email. Omnis offers a superb customer service and support experience, with live employees manning the online chat support and phone support lines throughout the day and night. If you’re less inclined to talk to someone and would rather figure out tech support issues on your own, you can also access a huge knowledgebase of information regarding Windows web hosting setup and maintenance. You of course have the option of receiving support via email, as well.